Henry Glass Fabrics: Looking for Someone who Likes to Sew with Free Fabric!!! Desire to Inspire for April is Now Open! Looking for Someone who Likes to Sew with Free Fabric!!! Desire to Inspire for April is Now Open! 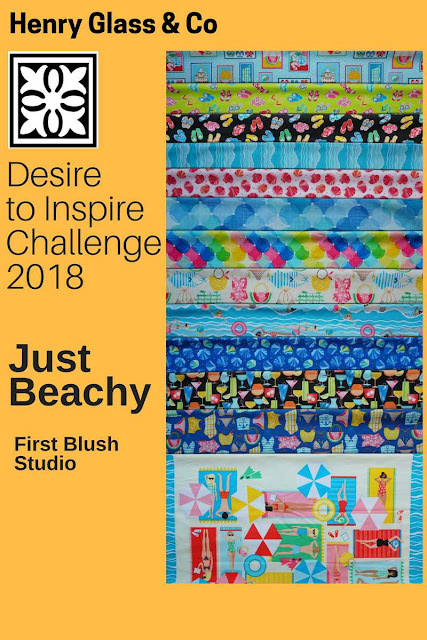 Look at these fabulous 'Just Beachy' fabrics! All yours, all free! All you need to do is sew something with them! And send us pictures of your finished projects by the end of April. That's how easy it is if you are picked for our April Desire to Inspire Challenge. So even if you have sent in your name before and have never been picked, this could be your month! Toss your name in the hat by sending an email to vanessa@jaftex.com. If you want to sew with these 'Just Beachy' fabrics on your own, they are now arriving at your local quilt shops or your favorite online retailer! Fun fabrics. I sent an email. I love the fabrics, they would be great to sew things for our beach house. I will have to check with our local quilt shop.